Rabbi Jonathan Wilson Glass was born in Boston and raised in Fairfield, Connecticut. He graduated from Columbia College and then attended the Torah Ohr yeshiva in Jerusalem, which is headed by the famous Rabbi Chaim Pinchas Sheinberg. Three years later, he returned to the U.S. to attend the Mirrer Yeshiva in Flatbush, from which he was ordained. He chose Mirrer because of its heavy European influence and because he was related to the late Rabbi Shraga Moshe Kalmanowitz, its head. 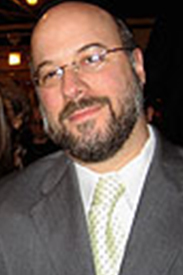 Rabbi Glass has served as the Rabbi of Tribeca Synagogue since 1989. He established the Hebrew school and the adult education programs. He has given invocations for the City Council of the City of New York and has been Rabbi for the Jewish Lawyers’ Guild. He and his wife Minky have five children and five grandchildren. Robert Moezinia is a skilled contractor and property manager. He has served on he synagogue board of directors in the position of treasurer for five years. During the time of his tenure, He has diligently monitored expenses an balanced our books, to create financial stability in synagogue. Robert is a coordinator in fulfilling the requirements of a federal grant which we received which requires a great deal of time and commitment. He is a always available to assist whenever there is a need whether it concerns major repairs or making the 10th man in a minyan. Is tireless worker. He ensures that our synagogue is running every day. His leadership and energy make Tribeca Synagogue the amazing place it is.